We all knew that the first ever women’s Royal Rumble would make history simply because there has never been one before, but the match truly exceeded expectations. It wasn’t that the men’s Rumble wasn’t a good one this year, but the women’s match gave us everything we could ask for in a truly great Royal Rumble. From multiple surprises and dream match ups, then topped off with a huge surprise to end it all, the first ever women’s Rumble will be hard to top in future years. From the get-go having Sasha Banks and Becky Lynch enter at numbers 1 and 2 (being they have been pillars of the women’s revolution) and then having Lita’s surprise entry early in the match, the tone was set. We saw great nostalgic returns from the likes of Torrie Wilson, Kelly Kelly, Jacqueline, Molly Holly, Beth Phoenix, and even Trish Stratus, we saw fantasy match ups come to life like Trish Stratus vs. Sasha Banks and Beth Phoenix vs. Nia Jax, and even saw the new generation like Ember Moon and Kairi Sane clash with the current and past generations. 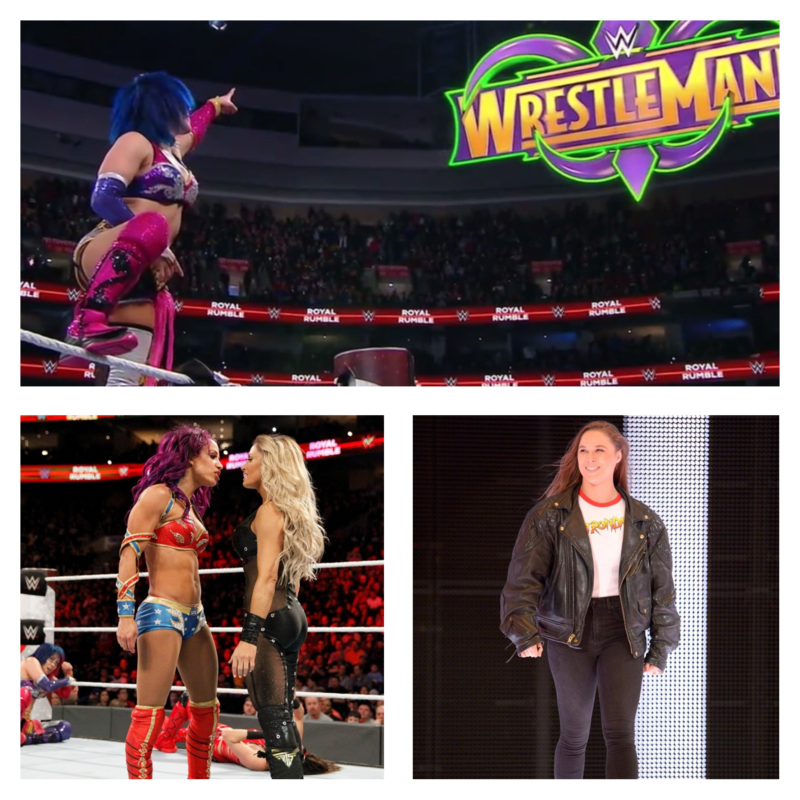 So many moments were had in the Women’s Royal Rumble, but after Asuka overcame Sasha Banks and the returning Bella Twins to win the match, the biggest surprise of all close the show – Ronda Rousey made her official debut as a full-time WWE Superstar, interrupting Asuka’s celebration before she could choose if she would face Alexa Bliss or Charlotte at WrestleMania. Rousey said nothing, but made it clear that she will be at WrestleMania which will obviously be a major part of the show this year. If you haven’t watched already, the women’s Royal Rumble is worth going back and watching on the WWE Network; it provided non-stop action and will go down as a celebration of all the women that helped women’s wrestling reach the level of main eventing shows like the Royal Rumble.